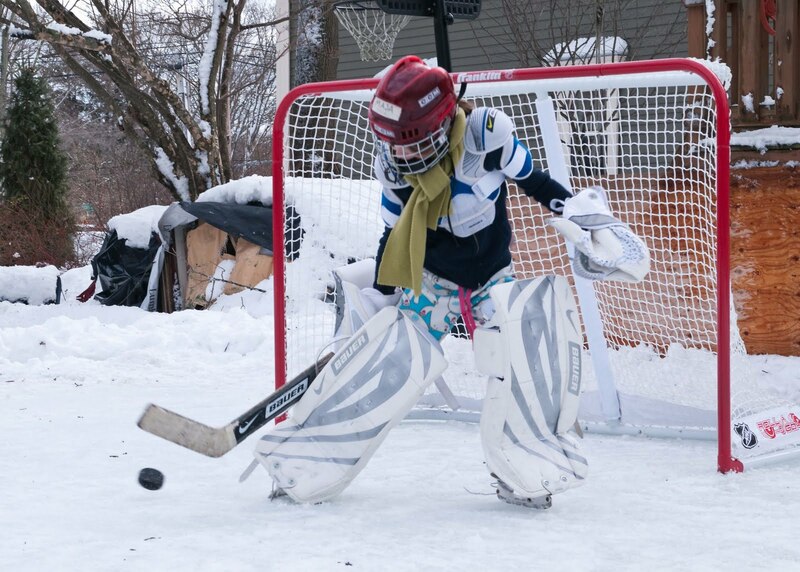 We really lucked out this vacation week: perfect weather for goalie practice! Great action shot of the puck and stick. Just what does all that goalie equipment weigh?